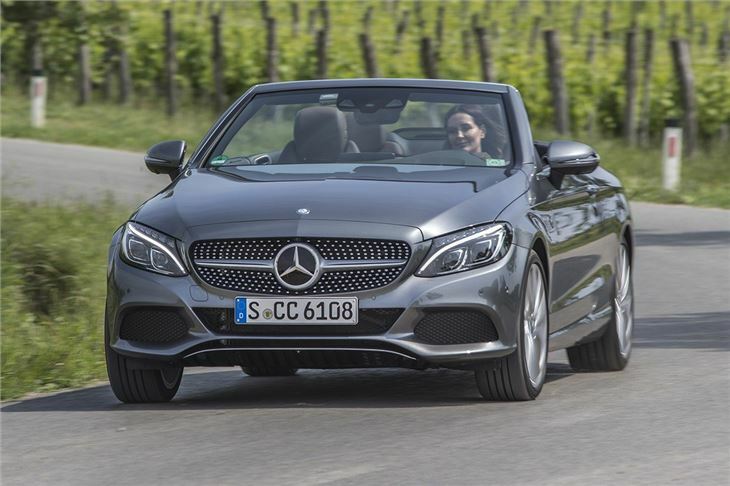 With classy, understated styling, impressive refinement and a broad engine range, the Mercedes-Benz C-Class Cabriolet is a great alternative to the BMW 4 Series Cabriolet. It feels special with the top down, but it’s still quiet and relaxing enough to use every day. It's even practical enough for trips to the shops or weekends away. 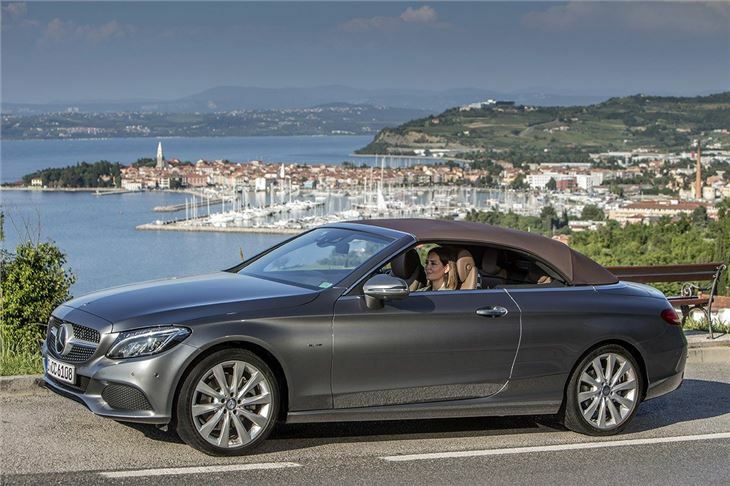 Aircap, a system to reduce buffeting in the cabin with the roof lowered, is fitted as standard and it will help keep hairstyles neat on a long drive. 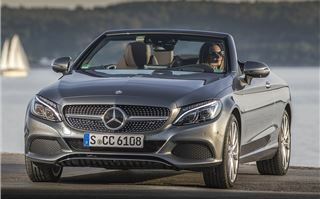 It’s barely needed though – even at motorway speeds without the Aircap deployed the cabin in the C-Class Cabriolet is quiet and serene, enough for passengers to hold a conversation without raising their voices. With the roof up the car is almost as quiet as the coupe, although in wet weather the rain can be heard gently pitter-pattering on the fabric top. 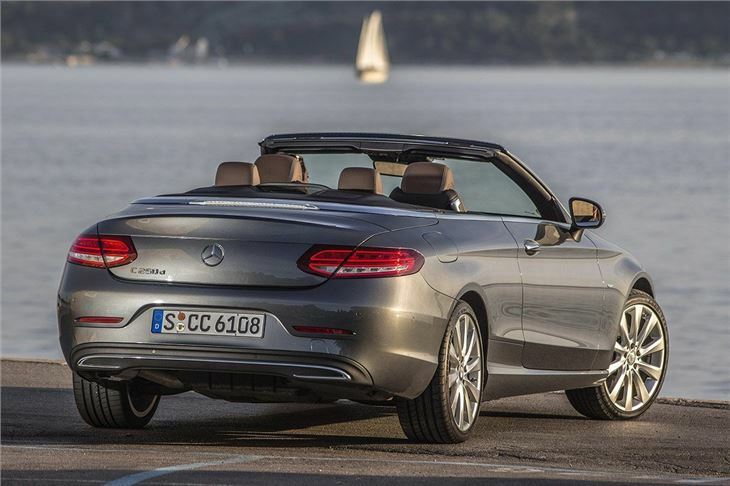 Unfortunately the roof restricts rear head room, which is too tight for adult passengers when the roof is in place, but children should be comfortable and there is a surprising level of legroom in the back two seats. 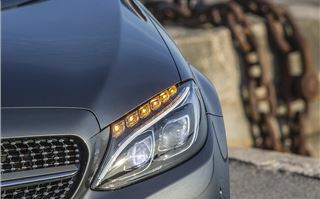 In the UK the engine range features two diesel and four petrols, including two high-performance AMG variants. 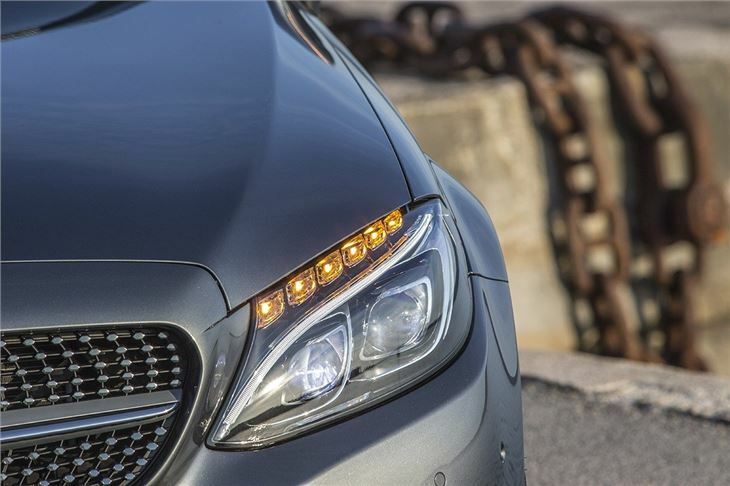 Diesel engines are likely to prove the most popular in the UK, so we drove the C 250d, which produces 204PS and an impressive 500Nm of peak torque. 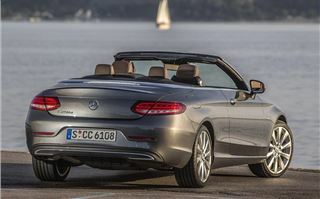 It comes with a smooth nine-speed automatic transmission as standard, while the cheaper 220d can be bought with either a six-speed manual or the nine-speed auto. 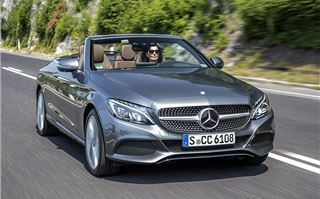 Despite using the ageing 2.1-litre four-cylinder engine used across many Mercedes-Benz models, instead of the newer 2.0-litre seen in the latest E-Class, the C 250d is surprisingly quiet. 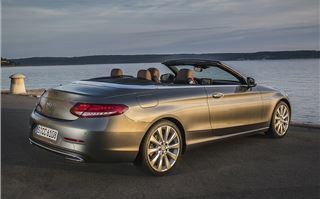 At low-speeds the gearbox changes up so promptly and smoothly that the engine barely has a chance to make a sound, but it does clatter and grumble when pushed hard. Official economy is 61.4mpg and emissions are 121g/km, depending on wheel size. 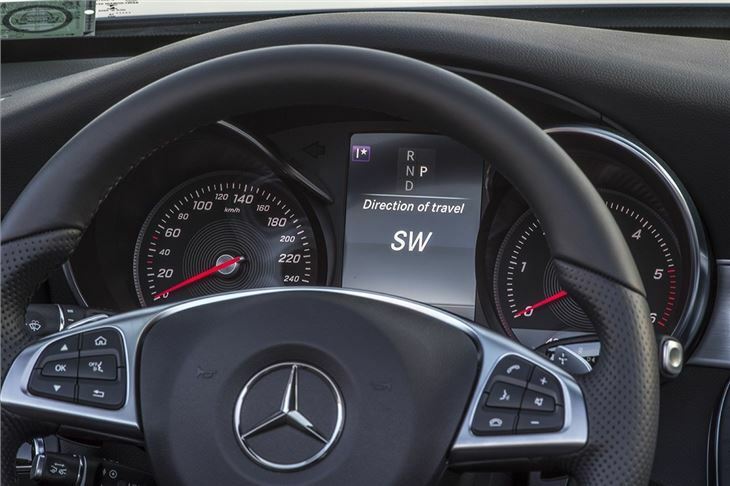 Drivers can select from four drive modes – Comfort, Eco, Sport and Sport+, which alter steering weight, transmission shift patterns, Airmatic suspension modes and throttle response. 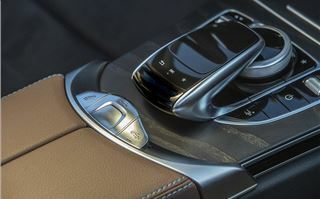 There’s also an Individual setting that enables the driver to choose from various settings to create a custom profile, for example with comfort-focused steering and sportier gear changes. On the whole, though, the Comfort setting works best, since it suits the character of the car so well. Everything responds smoothly and swiftly, while the suspension balances ride quality with cornering capability perfectly. 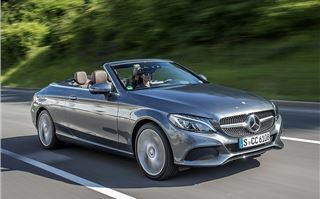 The C-Class Cabriolet, at least in 250d form, feels on the heavy side, but there’s plenty of traction, while the steering is accurate and well-weighted, making corners, motorways or town driving effortlessly easy. 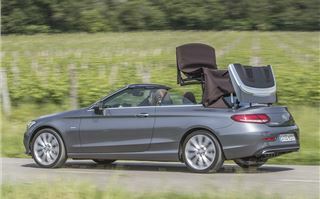 Folding the roof down requires a divider to be lowered in the boot, which reduces luggage capacity from 360 litres to 285 litres. Fortunately, even with the divider down there is enough room for a couple of small cases and a soft bag, so if you’re away for a few days you can still enjoy the sun. 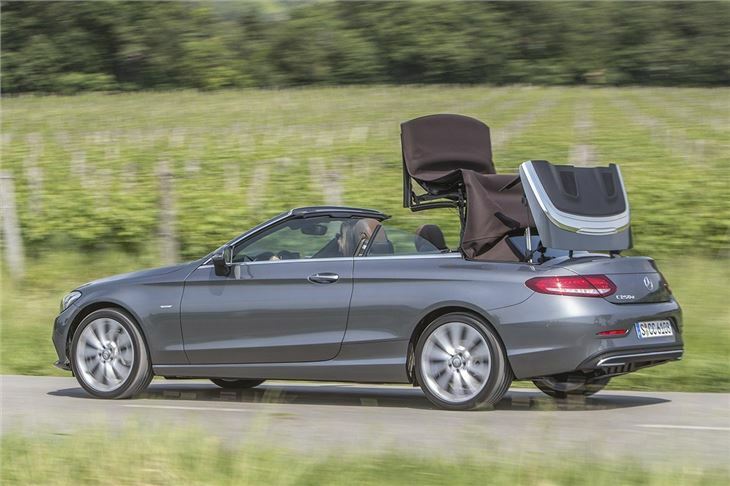 Furthermore, the back seats can be folded to enable the loading of longer items like skis. Material quality is excellent, with sturdy but plush plastics, sumptuous upholstery and real wood in a variety of different finishes. The only bugbear is the infotainment screen, which looks like an afterthought, perched at the top of the centre stack. 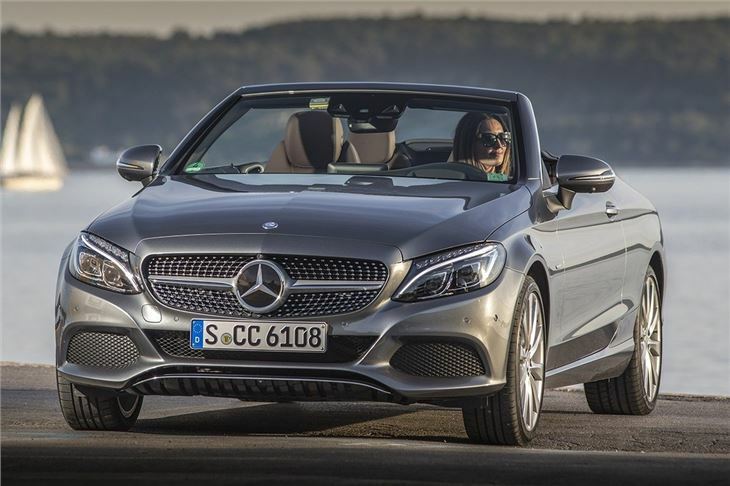 The new E-Class and the S-Class have a much more neatly integrated screens, so it's a shame the same design couldn't feature in the C-Class Cabriolet. 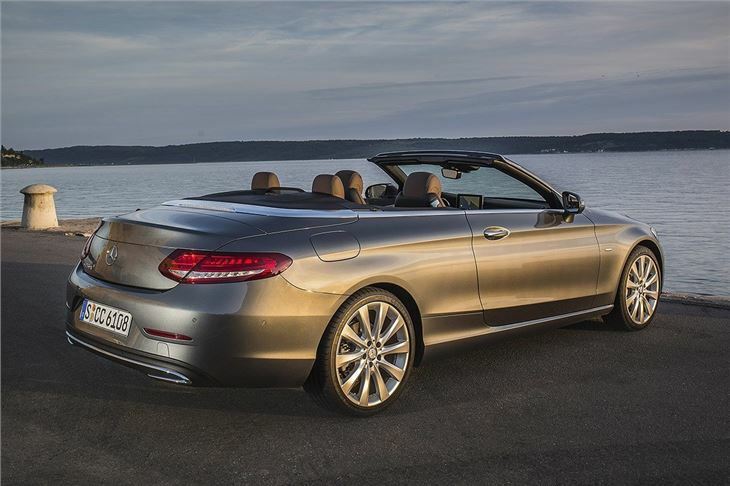 Plenty of luxuries are included as standard. All cars have LED headlights and tail lights, Active Park Assist, a reversing camera, heated, electrically adjustable front seats, satellite navigation, Artico leather upholstery and autonomous emergency braking, along with Bluetooth and USB connectivity. 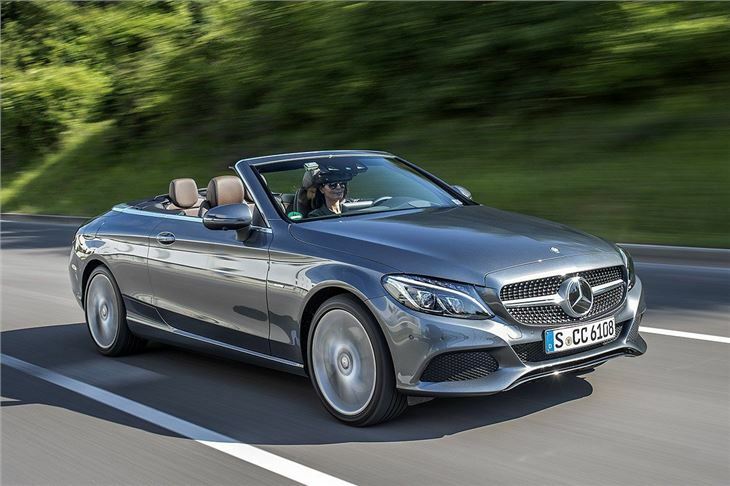 Options include a larger touchscreen, a more powerful audio system and adaptive cruise control with stop and go. 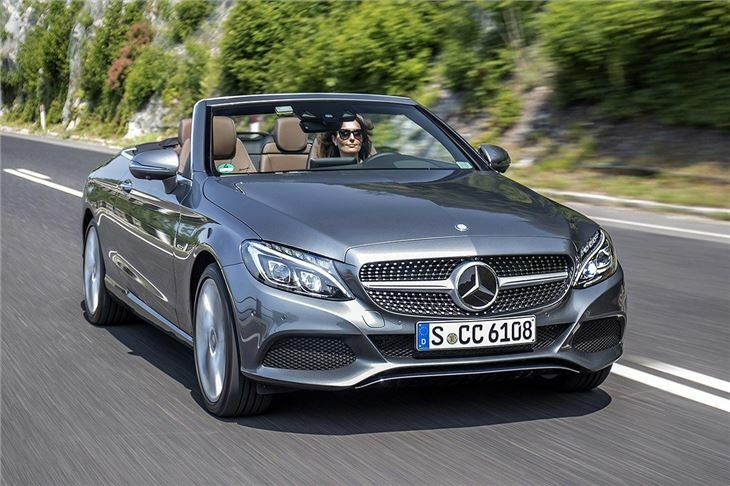 It’s hard to find fault with the Mercedes-Benz C-Class Cabriolet. 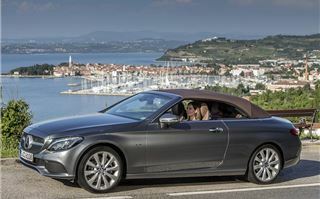 It takes all the luxury, comfort and all-round capability that makes the C-Class Coupe so impressive, but with the added bonus of a removable roof. 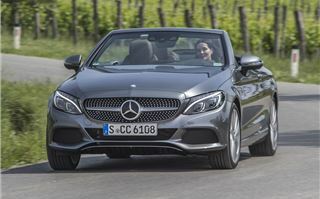 It does cost a few thousand pounds more than the coupe, starting at £36,200 for the basic C 200 petrol. But on a hot, sunny day that will feel like money well spent. 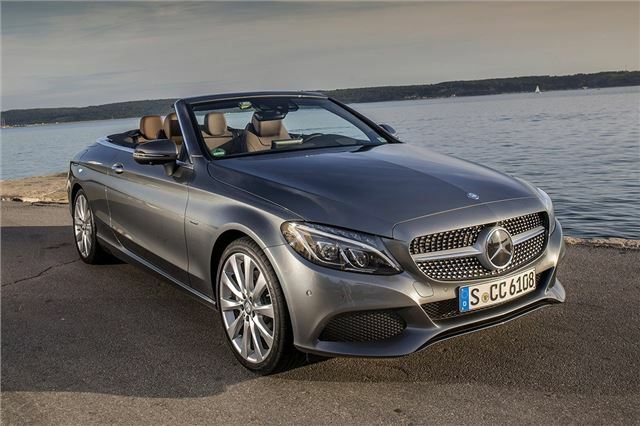 The Mercedes-Benz C-Class Cabriolet is available to order now.